For a broad overview on the history of advertising, click on the "Sell & Spin" tab located under the Mass Media menu. Open the worksheet and answer the questions as you watch the History channel video. Please be prepared to discuss your answers in class. Why are teens the biggest target of advertising money? Look through the following Advertising Techniques PowerPoint presentation or view the presentation below and learn about different ways that advertisers try to lure in audiences. REMEMBER, this is only a small list of the things advertisers use to appeal to audiences. Use magazines that you brought with to class and attempt to find examples of the different techniques listed in the presentation. Be sure to label your ads and write a small rationale as to why each ad fits the technique. Some of the techniques won't be in the magazines. What type of advertising technique do these commercials use? What are the rules for advertising? 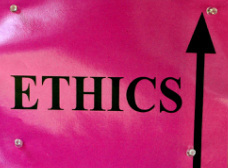 Check out these Notes on Advertising Ethics. We will be using these notes to help analyze the ideas found in the documentary "Merchants of Cool." Now that you know some of the techniques used by advertisers to catch your attention, consider the issue of marketing to teens. Advertisers spend the majority of their money advertising to the teen demographic trying to find what is "cool." This paradox of cool hunting will be an important part of understanding why Advertising is such a powerful form of mass media. Click on the link to watch Watch for free online "Merchants of Cool". Be sure to click on the section that says "watch program online"
How do advertisers appeal to different demographics? For your final project, you will be randomly assigned to a common everyday object. Your task will be to create an advertising campaign for your product and sell it using at least 5 advertising techniques that we discussed in class. Remember, many of the techniques can be doubled up (ie weasel words in a vague claim). You must follow advertising ethics and you CANNOT create or make up information for your product. All of your claims should be justified in some shape, way, or form. You must also find at least 2 advertisements similar to your product. You do not need to turn these in, but you will need to show them during your presentation and identify some of the techniques that they use. Do not COPY any of the techniques or claims used by your ads. You will be expected to know about your products. The ad must look neat. Graphics can be drawn, but all wording on your ad must be typed. Points will be deducted for any project that looks sloppy. Your ad should be completely done using printed images, pictures, and lettering. You MAY NOT use markers, pencils, or other forms of writing unless it is deliberately a part of the ad (must be able to justify this in your paper). · What demographic(s) (age group, gender, social class, etc) does this product apply to? If you cannot answer this question, you should go back and find a way to incorporate that into the ad. · Describe what advertising techniques you used, why you used them, and how your ad is able to meet the requirements of the advertising technique. · What do other ads for the same product that you have look like? You must find at least one ad and print it out. What techniques do they use? How does this compare with your ad? All advertisements will be presented to the class. You will need to introduce your ad and the advertising techniques that you used.